PIDC manages and develops the Navy Yard on behalf of PAID and the City of Philadelphia, and has served as master developer since 2000. PIDC manages all aspects of the property's management and development, and has partnered with the following organizations. Malvern, PA’s Liberty Property Trust is a real estate investment trust that owns and manages approximately 100 million square feet of office and industrial properties throughout the United States and United Kingdom. With exclusive developer responsibilities for the Corporate Center and the Commerce Center within The Navy Yard to date, this joint venture between Liberty Property Trust and Synterra Partners has developed 16 buildings at The Navy Yard Corporate Center and Commerce Center, with two additional projects currently under design or under construction. These buildings comprise over 1 million square feet of state-of-the-art, sustainable multi-tenant and build-to-suit office and industrial space, representing more than $350 million of investment. Synterra Partners is a local real estate development company founded in 1996. The firm has an extensive portfolio of domestic and international projects that include hotels and resorts, and commercial and retail developments. 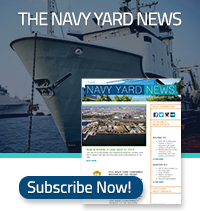 CBRE serves as PIDC’s property manager at theNavy Yard. CBRE is responsible for maintenance of all the streets, landscaping, infrastructure, security, and other related property management initiatives. DTE Energy operates the Navy Yard’s private electric grid on behalf of PIDC.